James Chim is a hemato-oncologist interested in clinical studies in lymphoma and myeloma. He has published >225 articles in peer-reviewed journals, spanning from clinical studies to basic research. His team focuses on translational research regarding the impact of DNA methylation of tumor suppressor genes/microRNA in blood cancers. 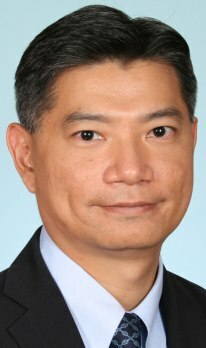 Currently, James Chim is the SH Ho Professor of Haematology & Oncology in the Department of Medicine, Queen Mary Hospital, University of Hong Kong. He is also a Member of the International Myeloma Working Group, Executive member of the Asian Myeloma Network, Chair of Education Access Program, ASIA-PACIFIC HEMATOLOGY CONSORTIUM (APHCON) & Founding Chairman of the Hong Kong Society of Myeloma. At present, he is also on the Associate Editor, Senior Editor or editorial board member of multiple journals including Clinical Epigenetics, American Journal of Translational Research, Journal of Hematology & Oncology, Hematology, Bone Marrow Transplantation, Journal of Translational Medicine, PLOS ONE, etc. 1) clinical studies in lymphoma and myeloma. 3) Impact of DNA methylation of tumor suppressor genes/microRNA in blood cancers.